Want a novel to get lost in? Jane Hatton and her British husband Andrew relocate from New York City to a small village on the Cumbrian coast. Jane has been city-based and career-driven but when her fourteen year old daughter Natalie falls in with the wrong crowd at school in Manhattan, she and Andrew decide to try country living. However Jane has trouble getting used to the silence and solitude of a remote village. Natalie hates her new school, and eleven-year-old Ben struggles academically. Only seven-year-old Merrie enjoys country life. Has Jane made a horrible mistake? The Hattons have bought the old vicarage in the village. When Jane finds a scrap of shopping list, she grows curious about Alice, the vicar's wife who lived there years before. As we follow the twin narratives of Jane, in the present, and Alice in the 1930s we discover that both are on a journey to discover their true selves, and to address their deepest fears. 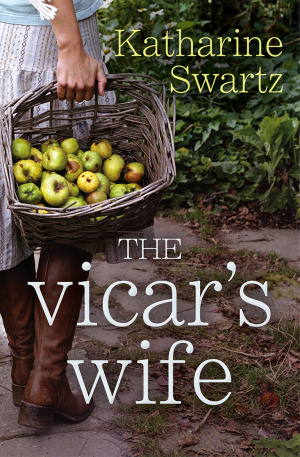 The Vicar's Wife by Katharine Swartz was published by Lion Hudson in October 2013 and is our 8997th best seller. The ISBN for The Vicar's Wife is 9781782640707. Be the first to review The Vicar's Wife! Got a question? No problem! Just click here to ask us about The Vicar's Wife.